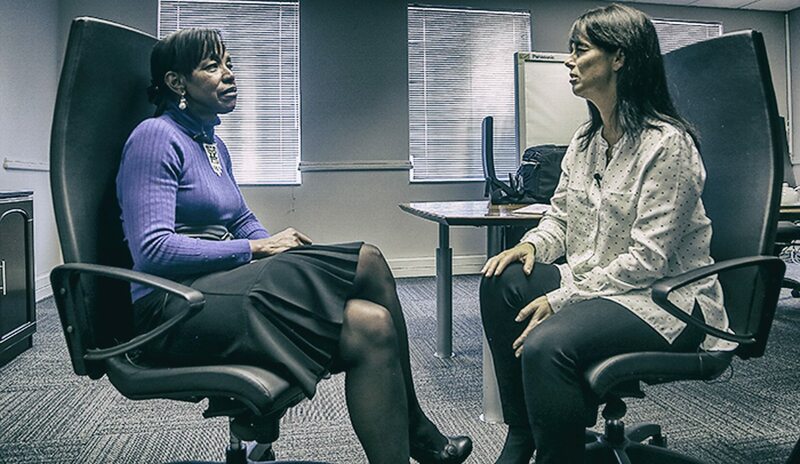 Former ANC Secretary-General Cheryl Carolus was interviewed by MELANIE VERWOERD, former ANC MP and SA Ambassador to Ireland, for EWN. Melanie Verwoerd: I want to start at the beginning and ask you, how did a young woman from the Cape Flats during the apartheid years end up being one of the most powerful women in South Africa? Cheryl Carolus: Well I don’t know about that… Maybe how I just ended up making the choices that I had. I am horrified if I think about it now quite frankly, because I joined my first political organisation at the age of 13 years. It is horrifying to think that a society creates conditions which are so bad that 13-year olds feels that they have to make tough political decisions and you are only a kid. You must be one of the only people that said no to Madiba, because I know he asked you repeatedly to stand for Parliament. Why did you not want to stand? I remember the late Chris Hani when he decided to become General Secretary of the Communist Party. Many of us who had worked in the structures of the ANC and Umkhonto we Sizwe and the underground thought he would be an obvious choice for Minister of Defence. We understood that many people who took up arms were not pacifists in principle, but were also not warmongers. We understood that sometimes you have to fight to build peace or sustain peace. Ordinary people in this country are enormously courageous, innovative and patient. But their patience is running out and that is what worries me about what is going on in our country. Leadership across the political parties are fighting politics with a big P that I think they are losing sight of how this time bomb is building up. Our service delivery protests are becoming more and more violent and they are becoming more and more inward in communities itself. I really think we are on a journey of self-destruction and that the absence of leadership on so many levels in the private sector, civil society, although some good signs that it is finding a voice again – but the disconnect between political leadership of all political parties and people on the ground and harnessing that in difficult economic times that we are experiencing is a great pity and a hell of a risk that political leaders are not switched on enough about that. And Parliament seems like it is disintegrating and feels out of control? That is exactly it! I find the behaviours in Parliament a total shocker and I feel that they should take some stock of themselves because all of us fought for an apex role for Parliament as in a democracy. When you start behaving and actually becoming abusive… You know only pigs thrive in the mud and when you start mud-slinging and no one, no one is actually able to rise above that, are you surprised that our country, you have lost a significant portion of your moral authority? What has happened in this last term of this sitting Parliament is that they have steadily been complicit in the destruction of the supreme role of that our elected representatives ought to play in shaping the future of our country and especially in a difficult economic climate, when times are hard for people. If you ask anyone in the street the most important parliamentary debate they remember – shockingly it is not about housing, or a shock that people are allowed to roll over money in their budget when people are burning the streets in order to get attention to the fact that they are not getting homes, hospitals and types of services they (need). That pointedly displays that no political leadership across this country — no one — is actively promoting a pro-poor agenda. I can’t help but think that Madiba and Mbeki would not have let it got so far and to let it disintegrate to a point where we now have to militarise Parliament. I cannot believe that we have reached a point where we have had to militarise Parliament. MPs need to urgently get a wake-up call and restore the dignity of Parliament and that starts with how we speak to one another. I expect the ANC to lead in that matter. You can’t stand like some street tsotsi taking out your knife and say come outside. We really did not fight for that! We can’t afford for Parliament to be debased like that. We need the Speaker and Deputy Speaker and all their officials to work with the whips of the different parties towards restoring the dignity of Parliament. But I think they have lost the plot about actually defining at the highest level what the values are that they have been entrusted with. What their roles are. I strongly urge them to pull themselves together. Even when you look what is on the agenda. When you look at how much time we have spent on Nkandla, on the president’s wives, on all manner of things. It is wrong on so many levels. I know you know the President well. It feels to me that there has been a change from years back. Something has happened. What has gone wrong in your view? I am not a shrink so won’t try and explain why our president is behaving the way he is. But I will say unequivocally that our president is an adult man capable of good judgement in his life and that’s why I appeal to him to take a step back and actually look at what he is putting my organisation through. He is asking my branches to actually discuss his misdemeanours and decide on his behalf. The biggest problem with the way the president is conducting himself currently is that he is abdicating the responsibility for his own personal wrongs and making it a national crisis. He is prepared to divide the ANC on the basis of something he has acknowledged that he was wrong. He has said: “I erred”, but he has not apologised sufficiently for the fact that if you add up all the things that the president has serially done since pre-Polokwane… the legal costs are hundreds of millions for each of those cases – it is over a billion rand in legal costs that one person that should be the most exemplary has cost this country. He has actually taken this country into the most divisive period of politics this country and my party has seen. We could never have imagined that one individual can divide us – not around policies, not around values, but around personal misdemeanours that has to do with his own enrichment and benefit. Not one of them is a matter of principle or policy. And I resent that. He is capable of better judgement. If he needs to see a shrink to understand why he has changed, he has a medical aid to cover that. You know, he is actually a very thoughtful man — that is how I knew him. He was the man who I went to go and see and sought advice from and who helped me during very difficult times as an official to keep the unity of the ANC. Where has that gone to? Has he been so overtaken by his own personal thing? That’s why I asked him to step aside and I stand by that. He has to allow the ANC to re-find its real purpose and to stop wasting all our time and taxpayers’ money defending him and his misdemeanours. Why did it take hundreds of millions of taxpayers’ money to come back at the end to now say he is sorry he was actually wrong? Even worse, he gets good men and women to lie on his behalf, to effectively violate the oath of office, to distort the truth and those men and women, good people, have to go home and face their children after that rubbish he gets them to speak on TV about fire pools and cattle kraals and heavens know what else – which was so ridiculous. I don’t know how they face their children at night when they go home. And on top of it, what I find even more despicable is that he sets them up. He says: “I’m not going to make a decision. The minister of police must pronounce on it.” And then he lets them speak all this rubbish and in the end he drops them just like this. “No I was actually wrong, I will repay the money”. And then again, the Minister of Finance must now calculate what is non-security upgrades. Hau, man! We all try to extend or improve our homes. We all know what we asked whom to do. That’s why to put good men and women into a position of ridicule and then the disloyalty of just dropping them! They will have to answer how they lied like that at some point and so I think that the president has lost it and should just step aside and allow the ANC to do its proper job to lead the country and in fact the world under difficult economic circumstances. It looks like the ANC can do very badly in the next elections? I really believe that the majority of people believe like I do that at the end of the day the only party that has the capability and wisdom and track record to take our country forward is the ANC. So I do not speak out of fear of electoral losses. I speak from a position of strength and that is my appeal to the president and leadership of the ANC to say: “We know our people trust us and expect us to continue the task of Oliver Tambo, Ruth Mompati and Helen Joseph.” We know our people believe that no one can carry that baton. We should be able to say our people, people deserve better – not out of a position of fear or losing vote but because they still have absolute trust in us, let’s do the right thing. We know the president is going to go at some stage. Question is just when? Do you have a preferred choice of who should succeed him? No I don’t. I trust the processes of the ANC. There have always been contestations and always been individuals who stood and made themselves available and feel a bit bruised. That is democracy. The ANC electoral process has always worked, but now all this stuff about paying money… There is so much that has corrupted the nobility of the ANC that people died for that has to be reclaimed. That simplicity we stood for – not convoluted arguments about cattle kraals. We used to call a house a house and we used to call a swimming pool a swimming pool and not a fire pool. Let’s just get back to those basic things. It is the simplicity what we stand for that is what we need to re-establish so that we can pick up the real fights that will take people off the streets and in their anger back into our organisation…. Yes it does – it really, really saddens me — especially since there is so much trust that the people still have in the ANC. And in a wholesome ANC that stands for the things that Dube, Tambo and Mandela stood for and died for. That in fact there is still so much that needs to be done… that really saddens me, and that it has come to this. When we are abusing our positions ad taxpayers’ money for our own enrichment – it is just shocking. The fact that people are prepared to kill for that kind of thing. But also remember we have shockingly dropped our members at the policy conference. We were 700,000 members. But 10-million people vote for ANC. So even if every ANC member in the ANC go and cast their cote whether they want Zuma for president, 10-million people vote for the values of the ANC and I believe there is over 9-million more people than our members that must be respected in making the right decision. Why I want to reiterate and ask President Zuma, our president and our leadership of the ANC, to stop saying that we are making decision on whether people will vote for ANC or not. Do the right thing… we have to lead our people on a number of issues – like the death penalty, women’s right to choose around their own sexuality and right to choose. We have taken people’s confidence in us and let them down. Let’s bite the bullet and lead our people back to the values. In the past the ANC had the moral courage to be ahead of other parties. This is why our people followed us because we did not just huddle with what we thought the populist belief was, but because we have courage to stand up and lead on non-racialism in the face of apartheid when the gut, knee-jerk reaction would have been for black people to have hated white people. But the ANC led on nonracialism. In the global culture of sexism we led people in the moral imperative of treating everyone as equals. On the matter of freedom of faith the ANC led. Those courageous leadership didn’t hide in the huddle of massive hysteria and populism. That is why our people followed us. The other sad thing is that so much good is still happening on our watch, but gets lost because we ourselves when we speak to our people dominate the conversation in attacking the opposition. Do we really need our detractors to define our agenda for us? How worried are you about the economy? I am worried. The world is a tough place and actually so much more competitive. What we need to focus on is what needs to be done to develop the kind of skills and workforce that is required. The fact is, we are just loosing the plot on supporting our education sector sufficiently. We are not supporting our Minister of Education or MECs in the provinces to make sure our children have a better chance than their parents and grandparents under apartheid. As a consequence we have a huge skills deficit and we are losing our competitive edge that we need to have. I still believe the country has so much going for it and investors still see us as a great opportunity. Frankly most competitors especially in BRICS are doing much worse. On the investor front South Africa remains a great destination, but we are spending so much time sniping with one another in the ANC and among political parties that no one is leading. I am so pleased how Pravin Gordhan has taken that and shaken everybody up and said: “Get a wake-up call, you politicians, you unions and business people. Stop sniping at one another. It is shocking how Zwelinzima Vavi has allowed Cosatu to disintegrate around his own misdemeanours and how Cosatu comrades have in turned abused that. And remember that it had a lot to do with how they mobilised around Jakob Zuma and Nkandla. Cosatu is in tatters today because of the politics of the individual. We have lost so much that should have been the protection of the poor workers and vulnerable people in our country by following the personality cult around a man called Jacob Zuma and one man, Zwelinzima Vavi. Since when has our politics been run around the cult of an individual? That is essentially the poison that we have to get rid of. It is now all about the individual and not the office and then they get themselves in bad positions. So I worry about our ability to do what we should. South Africa is ideally positioned if we can get on the right track with everybody. We would have had great opportunities. But we are losing that because we are so obsessed with defending the individuals around their wrongdoings. I know gender rights are very close to your heart. But again the way the president has handled all these issues… Are you worried that we are losing the gains we made post-1994 on the gender front? I am very worried because the whole landscape is now so poisonous. The rallying cry is around the lowest common denominators. I firmly believe the president is entitled to his views even for example around polygamy and I am entitled to mine. I think that it is frightening how the president has revoked the traditional court bill. Suddenly the president is now building alliances with backward traditional leaders and part of the package is to subjugate women again – and poor black people in rural areas under the nastiest of chiefs. There are good chiefs, I work with many of them. They are serving people and not out for power.